An estate agent who helped ex-minister, Diezani Alison-Madueke, buy properties in the UK has been arrested in Nigeria. Online newspaper, Premium Times reports that Adeyemi Edun helped Mrs. Alison-Madueke buy millions of pounds worth of properties in the UK. The former petroleum minister is held up in the UK where she is being investigated for money laundering. In Nigeria, property worth billions of Naira have been seized from her and forfeited to the federal government as she continues to be investigated for various corrupt practices while in office. She has denied any wrongdoing and recently asked that she be allowed to return to Nigeria to face corruption charges, a move blocked by the EFCC. Reports say Mr. Edun was detained as he arrived Nigeria on Wednesday and is currently being held at the EFCC office in Ikoyi, Lagos. “He is being held as part of investigations into Diezani’s multiple corrupt schemes,” an official of the Counter Terrorism and General Intelligence unit handling the EFCC investigation was quoted as telling Premium Times. Mr. Edun, co-owner of the Daniel Ford estate agency near King’s Cross, London, could not be contacted for comment. Colleagues at his London office declined to answer questions. 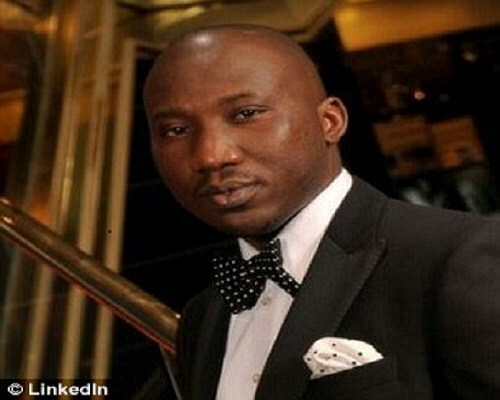 “I can confirm the arrest but I am not able to give details at this stage,” EFCC spokesperson, Wilson Uwujaren, said. Premium Time's collaborative investigation with Finance Uncovered in the UK revealed that Mr. Edun was named in U.S. court documents as having links to an alleged money laundering scandal swirling around Mrs. Alison-Madueke. The court papers said he had ‘assisted’ various Nigerian businessmen with the purchase of £8.3 million of prime London real estate intended ‘for the use and benefit’ of Mrs. Alison-Madueke in March 2011.